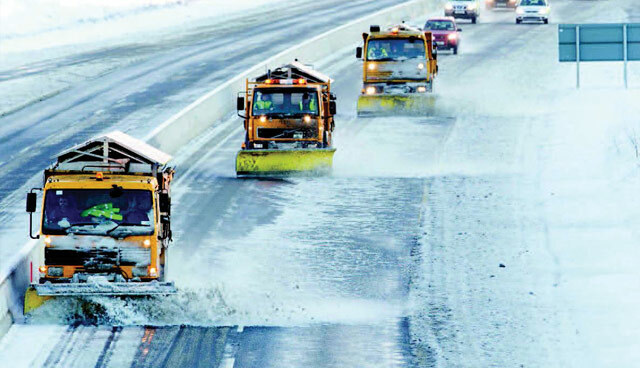 Transport Infrastructure Ireland (TII) is responsible for maintaining 5,332km of national roads which carry 45 per cent of all road traffic and over 90 per cent of freight traffic. 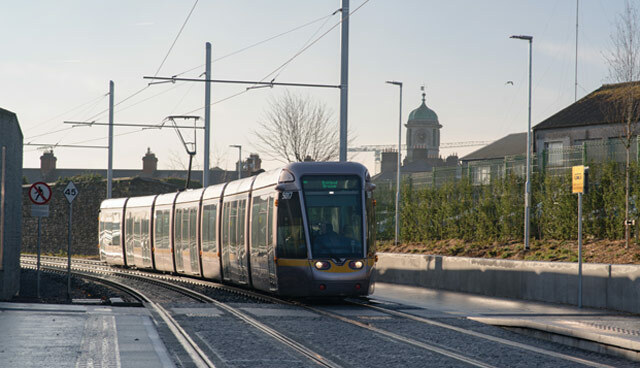 TII, working with the National Transport Authority (NTA), is also responsible for the Luas in Dublin, which carries over 150,000 passengers per day, making it a vital component of Dublin’s public transport network. TII provides and maintains the infrastructure which allows for people, goods and services to travel between all the country’s major cities, towns, airports and ports. It is accurate to state that TII’s activities impact every citizen and visitor to the State. TII is based in Parkgate Street in Dublin 8, and currently employs some 250 highly skilled and experienced people, most having worked on the delivery of transformational pieces of transport infrastructure in Ireland and around the world. TII relies substantially on local authorities in supporting TII’s national roads programmes. The successful delivery of previous roads programmes is a direct a result of the excellent working relationship and collaboration between TII (also known as NRA up to 2015) and the local authorities. This relationship continues today as TII funds 11 National Roads Offices (NROs) with over 220 local authority technical staff. The NROs manage both major and minor projects through design, planning stages and construction. Separately, TII funds 60 local authority technical staff substantially engaged in asset management and pavement renewals, rehabilitation and maintenance activities but an increasing amount of this work is being handled by the NROs. Given the scale of the transformation of the land transport networks since 2000, TII has moved from being a developer of light rail and national roads networks to being a network operations manager, with most operations outsourced. These outsourced activities include the operation of 1,250 km of motorways, motorway service areas and three tunnels, using a combination of PPP concessionaires, managed motorway and tunnel specialist operators. TII manages PPP procurements and commercial operations directly. 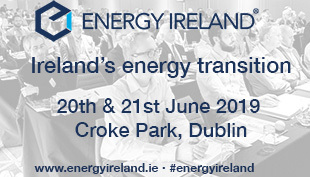 These commercial operations include the M50 eFlow, Dublin Tunnel and Luas services. Over 2,000 people are employed on the operations side, with over 1,000 employed on major road and rail projects last year. 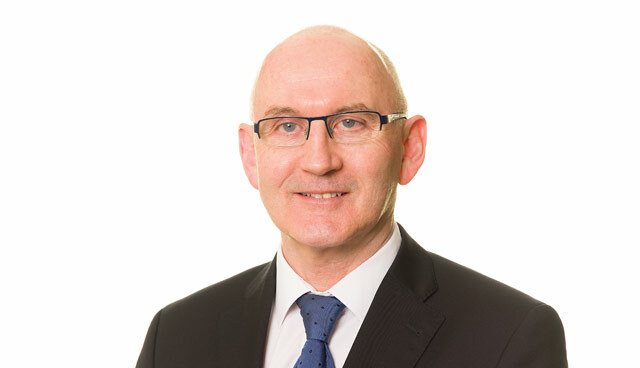 Michael Nolan, chief executive of Transport Infrastructure Ireland. National Development Plan 2018-2027, which sets out the programme of public capital investment for the next 10 years. This ambitious plan will drive Ireland’s economic, environmental and social progress across all parts of the country over the next decade. The National Development Plan, which aligned with the delivery of the objectives of the National Planning Framework, sets out a significant level of investment which will underpin the National Planning Framework and drive its implementation over the next 10 years. The National Planning Framework sets some specific targets for road performance. Not only does it identify priority national road investments to be made in the next 10 years, it also recognises that public infrastructure delivered over the past two decades has played a very important role in supporting the resilience and recovery of the economy. However, in the years following the crisis public investment was significantly constrained. This has led to the accumulation of shortfalls in the volume and quality of Ireland’s public capital infrastructure, and a deficit of steady state investment in Ireland’s transport infrastructure. 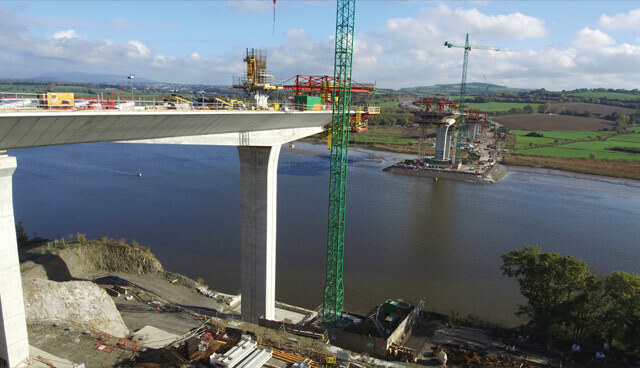 Capital investment in the national road network identifies an investment of some €6.6 billion over a 10-year period. This averages at €700 million per year from 2020 to 2027. It is over twice what was allocated just two years ago. We are now moving forward and can bringing a range of important schemes to construction in 2019, and also bring a number of very important schemes to An Bord Pleanála in the next two years. Importantly, a significant portfolio of previously suspended schemes are being reactivated to create a pipeline of schemes being progressed through the planning, design and business case development phases. TII is working closely with our colleagues in the Department of Transport, Tourism and Sport (DTTaS) to establish a pipeline of major projects and ensure that value for money is obtained, TII continues to apply the rigorous financial and economic appraisal principles contained in the Public Spending Code. Why invest in modern roads infrastructure? The CSO National Travel Survey shows that private car remains the dominant form of transport in Ireland, with car driver mode share around 70 per cent. This reliance on car may be expected due to our relatively dispersed population. In 2016, over two-thirds of Ireland’s population lived outside the five cities of Dublin, Cork, Limerick, Galway and Waterford. Private motor vehicles are the primary mode of travel to work across the state outside the major urban centres, often facilitated by national roads. This is reflected in the fact that since 2000 growth in car ownership in rural areas is higher than growth in Cork and Dublin. These statistics identify that road transport infrastructure remains the backbone of our economy, providing connections for people and goods, access to jobs and services, and enabling trade and economic growth. In urban and rural environments transportation networks are indispensable for the smooth functioning of society acting as important lifelines linking communities and goods. The vision of a connected Ireland supported by enhanced regional accessibility, compact growth and sustainable mobility is central to the Government’s 2018-2027 National Development Plan and underpins Ireland’s economic future. The National Planning Framework emphasises compact, sustainable growth and will reduce car travel compared to a situation without this spatial policy in place. However the amount of road travel will continue to grow because of underlying population and economic growth. The national road network will remain an essential part of Ireland’s economy and society. In fact, the national road network will play an essential role in achieving the 10 National Strategic Outcomes (NSOs) set out in the National Planning Framework. Why invest in maintaining the value and quality of past investments? The term ‘Steady State’ investment is firmly embedded in the NDP, and this welcomed commitment is reflected in significant increases to the allocations to local authorities for pavement renewals in 2018. The principle of ‘steady state’ is to ensuring that the national road network is maintained to at a level that provides a safe and efficient network of national road infrastructure that enhances accessibility and connectivity for transport users which reflects TII’s Strategy to protect previous investments made by government on behalf of the taxpayer. To this end, the expanding funding envelope has allowed a significant ramping up of the pavement renewal programme from 2017 levels. At the time of writing, no one can say with certainty what form Brexit will take or what impacts it will have. The National Roads Programme as set out in the NDP lists some key investments to improve access to key trade ports, and a number of reactivated projects in the north and north-west reaches of the country. As an island nation, Ireland is highly dependent on high-quality, expedited handling of goods at ports and passengers at airports. Strategic transport links to ports and airport facilities are primarily road based, with most freight arriving at ports by HGV and most passengers using roads to access airports (public transport or private vehicle for the most part). Key investment in strategic roads to these facilities is therefore required to maintain Ireland’s trading, tourism and recreational travel opportunities. Let me give you some context of the economic interwoven relationship between Ireland and Britain that simply cannot be debated: 88 per cent of our energy comes from the UK; 86 per cent of truck freight arrives through the UK; 46 per cent of all of our food and animal exports go to the UK; 40 per cent of all our tourists come from the UK; 80 per cent of goods produced by individual SME’s in the agri-food sector is sold to the UK consumer. We have a €65 billion east-west trade relationship as many of you will know between these two islands, that is some figure for four and a half million people. We have 200,000 people, 10 per cent of our workforce employed linked to that relationship and we have 38,000 Irish companies that trade with Britain on a regular basis if not a weekly basis. Dublin to London is the second busiest flight route on the planet and is the busiest by far in the European Union. Four and a half million people, the equivalent of our entire population travel between Dublin and London every single year. That translates in to a lot of movement and activity, with national roads playing an active part in facilitating that relationship with our neighbours. The M50 Dublin ring road is the busiest motorway in Ireland, with weekday traffic exceeding 155,000 vehicles per day on the busiest sections. Approximately 420,000 individual journeys are made on the M50 each day totalling over 150 million users per year. Since 2010, traffic volumes on the M50 have increased by 40 per cent and the motorway is increasingly subject to congestion and to a growing number of incidents which leads to significant disruption for road users, particularly at peak times. During the morning and evening peaks, journey times have worsened significantly and the periods of congestion during peak hour have extended. There is also significant day to day variability in journey times along the M50, caused by congestion and as a consequence of incidents. In response to this growing challenge, TII is implementing the M50 variable speed limit (VSL) project in order to more effectively manage traffic on this key corridor. The speed limits will be displayed on electronic signs mounted on gantries over each lane. The gantries installed as part of the M50 upgrade project from 2006 and 2010 were designed to accommodate such speed limit signs. 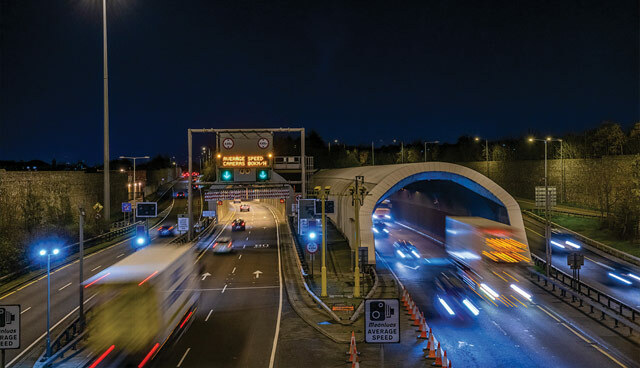 The speed limits will be controlled through an automated system operating in TII’s Motorway Operations and Control Centre (MOCC) located in the Dublin Tunnel Control Complex. The application of variable speed limits on the M50 will benefit road users in a number of ways. The system will operate by modifying the speed limit along sections of the motorway in order to offset any localised build-up of vehicle congestion. The application of a reduced speed limit along such sections will smooth traffic flow and reduce the prevalence of weaving and unexpected vehicle movements. Such vehicle movements contribute to accidents and the breakdown in traffic flow. The main benefits of reducing traffic flow turbulence through the application of variable speed limits are improved safety, a reduction in incidents and collisions and improved journey time reliability for users of the M50. The speed limits will be monitored through an automated system of gantry mounted cameras. In addition to the objective of mitigating traffic congestion, the variable speed limit system can be used to introduce reduced speed limits during periods of adverse weather such as very heavy rain or fog. The electronic speed limit signs can also display lane control signals, in order to better manage collisions or planned maintenance work. If a collision occurs in a lane, the occupants of the vehicles and the emergency services will be better protected from possible impact from following vehicles by the introduction of a Red X signal over the lane in advance of the collision. It will be a traffic offence for a driver to drive in a lane after passing a Red X signal. Deployment of the speed limit signs and other technology will commence in late 2019, and the system will become operational in 2020. In conclusion, the variable speed limit system will benefit users of the M50 by delivering enhanced safety and improved journey time reliability on the M50. It is important to note that it will not eliminate M50 congestion at peak times, nor will it deliver additional traffic capacity on the motorway. Ultimately, due to the diversity and dispersion of trips catered for along the M50 corridor, changing trip patterns through compact growth and integration of land use planning in tandem with other demand management measures that include additional tolling points along the M50 corridor are the only means of effectively reducing traffic congestion. These measures will support the transformational public transport options being progressed to cater for demand along the Dublin radial routes and into the city centre. We do need transformational alternatives. To address congestion issues, the National Transport Authority (NTA) developed the Transport Strategy for the Greater Dublin Area 2016-2035. This sets the framework for public transport development across the wider Dublin area for the next 20 years. One major component of this strategy is delivery of MetroLink. MetroLink is largest single public transport project ever undertaken in Ireland’s history. It will carry up to 50 million passengers annually. When complete it will be a high-frequency, high capacity, electric, dedicated railway corridor traversing the city centre and connecting with the Luas, DART, Irish Rail and Dublin Airport. Experience has shown that the best way to get people out of cars is to provide attractive, affordable and reliable public transport. TII along with NTA look forward to delivering this once in a lifetime metro project. Watch this space.